She can whip you up a Cortado or double Espresso just about anywhere she goes, grinding the espresso beans, frothing the milk, and serving it up for you in a nice saucer cup. The Yvonne is a front-loading, three-wheeled cargo bicycle bringing your local espresso/coffee shop, or lunch counter to any corner block in the city. Our latest model brings together the art of customer service, and food and beverage distribution all onto a mobile platform. I’m Fabricio to Mexico City, I just want to know the price of the Yvonne’s into the food version (my business needs a gas tank). Do you have electric version of it? and you can adapt the grill to the measures that i need? and finally and you can ship to Mexico City…? I’m interested in the Yvonne. It mentions several sizes. What are the differences in sizes/functionality? What are the price ranges for both? What is the turn around time on orders? Click on Order to send in an order inquiry about the Yvonne so we can provide you with an estimate. 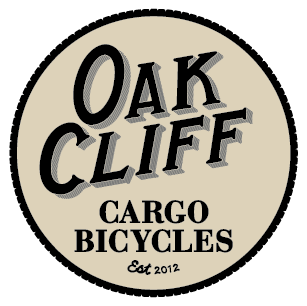 Next Next post: Exclusive: TOMS coffee now available on an Oak Cliff Cargo Bicycle!